Come face-to-face with some of the world's most fascinating creatures in our River themed Wildlife Park. Stroll along freshwater aquariums and luscious walk-through exhibits, including the Giant otters, mischievous squirrel monkeys and more, the river flows with excitement at every turn. 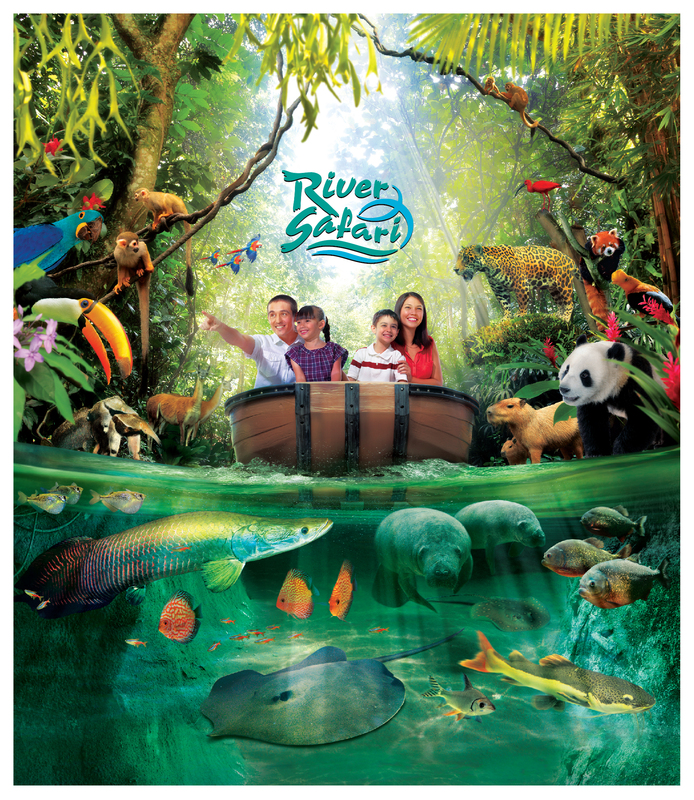 Home to more than 6000 aquatic and land animals, from over 200 species, River Safari boasts river giants and megafishes of the animal kingdom. Expect boat rides and freshwater attractions that explore 10 of the world’s ecosystems, including the River Nile in Africa, the Mississippi River, the Amazon and Tundra. 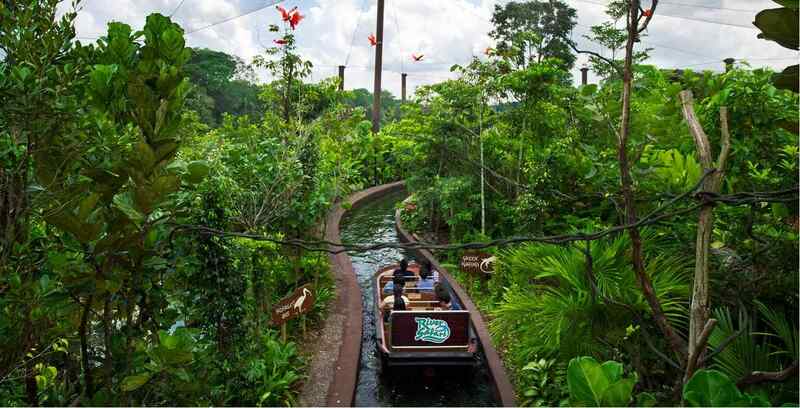 Definitely one for animal lovers, River Safari features a fascinating collection of over 300 species of animal, and also plays an important part in the protection of endangered animals. So, what can you expect to meet? Everything from anacondas, red pandas, jaguars, eels, alligators, and manatees. But the star of the show are the park’s male and female giant pandas, Kai Kai and Jia Jia who have their own special house. Before you, understandably, rush to visit panda celebrities, Kai Kai and Jia Jia, make sure you don’t miss what could be the River Safari’s most adorable residents: the red pandas. These little guys look like a cross between a cat and a dog and build their tree nests out of leaves. You’ll also need to wander into Wild Amazonia where you can encounter all sorts of strange and beguiling South American creatures - including snakes! Your iVenture Card also allows you you to jump aboard the Amazon River Quest, a quick boat ride, which puts its passengers right into the hands of jaguars and wolves. It’s OK, they won’t get you. For something a little less frightening, step into Squirrel Monkey Forest where you can take in the harmonic symphony of this free-range aviary. 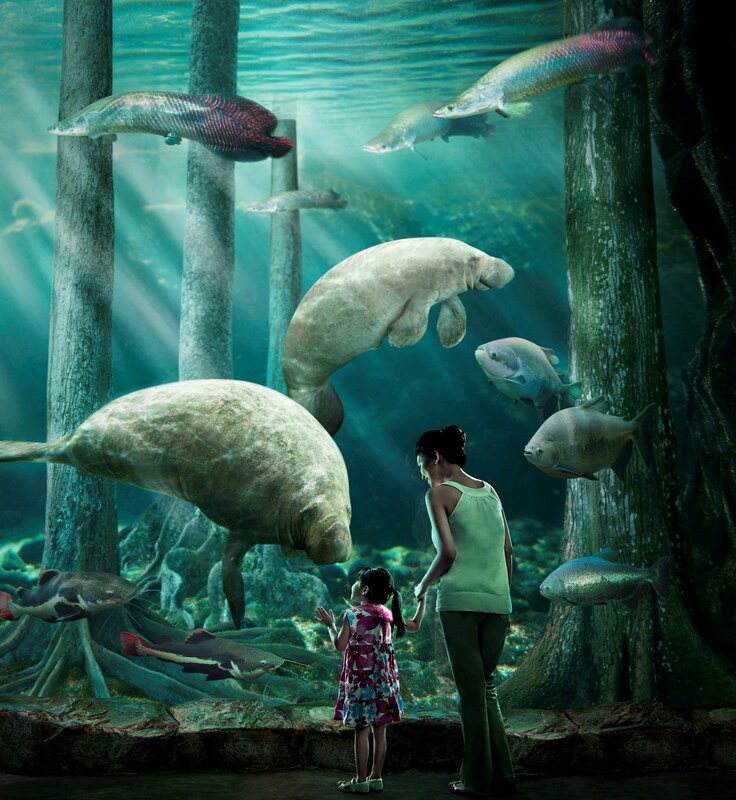 And don’t leave the safari without watching in awe at the manatees who laze around their aquarium in the Amazon Flooded Forest like serene supernatural creatures. The River Safari gets incredibly busy so an early visit is recommended, especially during weekends to avoid the crowds. With so much to do, a quick day plan is recommended. Start with the zoo, and cover the morning shows followed by afternoon feeding trail, have a quick lunch and then move onto the pandas and the Amazon ride. If you can, stick around until the evening as this is when the park does fire shows and starts showing off the creatures that come out at night. The easiest way to get here is via the MRT & BUS. Get the MRT to Ang Mo Kio Station (NS16). Then take Bus 138 from Ang Mo Kio Bus Interchange. OR Get the MRT to Choa Chu Kang Station (NS4). Then take the bus 927 from Choa Chu Kang Bus Interchange. Or take the MRT to Woldlands Station (NS9) and the Bus 926* from Woodlands Regional Interchange.